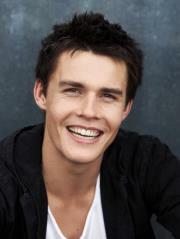 My name is ANDREW MORLEY, I’m 20 years old … and I recently got into acting. I met Jeremy Kewley backstage at Rod Laver Arena for The Grand Final Footy Show in 2009. (Jeremy is, amongst other things, the warm-up comedian on the show) He came up and spoke to me, assuming he had met me somewhere, but I had no clue as to who he was! With the convenience of the internet on my mobile, I ‘googled’ his name and soon found that this friendly 49yr old had been acting since he was 14 yrs old and had an enormous amount of experience in Television, Movies, Audience Warm-Ups, Television Comedy, Theatre as well as being a Producer. I could go on in fine detail, but just Google him or get him on ‘Wikipedia’, and you’ll be amazed! Jeremy suggested that I may have what it takes to go somewhere in the acting industry, but as I had no real interest at that time, I wasn’t sure it was for me. I was studying Civil Engineering at RMIT. But with his advice and an encouraging helping hand, I decided to give his Sunday “Acting Essentials” Class a go. I soon realised that these were some of the most enjoyable classes, of any nature, that I have taken in my life! We all start off timid and shy in front of each other, but Jeremy has a way to involve everyone. By the end of the first day, I guarantee you’ll know everyone not just by name, but by personality. Each week brings a new challenge, but with the new group of friends in the class, it makes participating so more enjoyable. Whether it’s performing in front of the class, in front of a camera, or even in front of the special guests Jan Russ (“Neighbours” Casting Director for 25 years) or Fiona Dann (from Chameleon Casting) it provides a nurturing environment that brings forth the best creativity possible. I have remained friends with many of the other students too, which is a bonus. Jeremy’s classes provided a huge boost in my confidence and skill, as well as a fantastic insight into the acting and casting process. As a direct result of these classes, and with Jeremy’s continued advice, support and friendship, over the last 4 months I have scored some really good roles in various short films, feature films, music clips, etc. 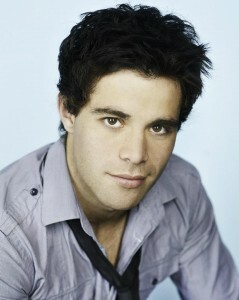 *** In September 2010 Andrew scored the lead role in the Network Ten/ Nickelodeon series “LIGHTNING POINT”. He moved to Queensland to shoot the series at the Warner Bros Studios. “LIGHTNING POINT” premiered in the US in May 2012 and in Australia on June 22nd 2012. 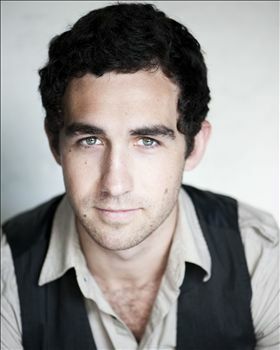 In January 2013 Andrew began a three year contract playing ‘Spencer Harrington’ in the popular television series ‘HOME & AWAY”. He is now represented by 360 Management in Los Angeles. 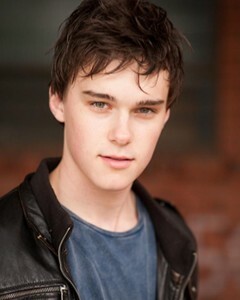 My name is Mitc hell Hope, I am a 19 year old actor from Melbourne. My professional screen debut was as Young Tim Farriss in the Seven Network mini-series NEVER TEAR US APART: THE UNTOLD STORY OF INXS which I shot in 2013. From there I won the lead role of Ben in the Disney film DESCENDANTS, shooting in Vancouver in 2014, and signed with leading US agency United Talent Agency. But …. when I was 17, I had no agent, and was barely considering acting as a profession. It wasn’t until I had started attending Jeremy Kewley’s ACTING ESSENTIALS that I changed my mind. Jeremy knows everything about the industry, and explained how I could work in a different way to achieve my new goal. We went through everything; we studied script analysis, we ran scenes and even looked at professional production notes. Each week, many of us stuck around to ask him more questions or rehearse for auditions, and Jeremy was more than happy to help. His course created opportunities for me in the industry, it helped me form incredible contacts and it refined my acting skills. Jeremy has rehearsed scenes and accompanied me to auditions and advised me more times than I can count. And we acted opposite each other in a number of short films that gave me invaluable on-set experience. I definitely recommend Jeremy’s course to anyone looking to further their understanding of the industry. He is a good friend and a great teacher, and an incredible contact to have. Jez won’t say it, but he has a lot to do with why I’m where I am today! I did Jeremy’s ACTING ESSENTIALS course in November 2012. It not only taught me fundamentals about acting for camera, it prepared me for what to expect on set, how to deal with agents and managers and all the intricate parts of acting associated with the profession that are extremely important for every actor to know. I would highly recommend this class not only for those just starting out in the acting business, but also for those who need to learn more about the industry than just the craft of acting. Jeremy is a wonderful person and will happily go out of his way to get the best result possible from all of his students. Since taking this course Jeremy has continued to help me to prepare for auditions and screen tests, and brainstorm ideas on multiple occasions. 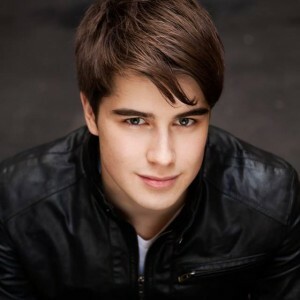 *** In 2013 Ned scored the lead role of Alex King in the ABC3/BBC 13-part series “WORST YEAR OF MY LIFE, AGAIN”, and then landed the role of Hartman’s son in the 2014 Channel Seven pilot “HARTMAN’S SOLUTION” with Erik Thomson. Jeremy Kewley is a selfless man. Always willing to help inexperienced actors with genuine advice and industry knowledge. Before I’d hardly even spoken to him he set me up with a VCA short film as a lead character which lead onto more roles with VCA short films. As an established actor, Jeremy has a busy schedule and always has a new project to talk about yet somehow always makes the time to hear what you have to say and offer advice and support. Jeremy’s “Acting Essentials” course covers essential topics such as character development, Monologues, showreels and what casting directors would prefer to see in a performance. He even organised for us to have an actual screentest with top casting director Fiona Dann! A phenomenal experience offering a chance for constructive criticism and feedback. I’ve studied a full time theatre arts course and I can personally say that I learnt much more over the duration of Jeremy’s short acting course than my time spent studying full time. I’d like to personally thank Jeremy for his time and patience as a teacher, fellow actor and friend. I strongly suggest that anyone curious about acting or wanting some genuine industry knowledge from a professional actor to give Jeremy’s “Acting Essentials” course a try whether you are curious about acting or want to know how to begin. Thank you for your Acting Essentials workshop Jeremy. Your teaching skills are inspirational and you should be very proud of yourself. I admire your passion for acting and it shows in your work. I am grateful for your knowledge and feedback, also the yummy snacks you provided! My name is JOEL FAMULARO. I am 23 years old. After a life in music in QueenslandI decided to move to Melbournein January 2008 to try my hand at acting. 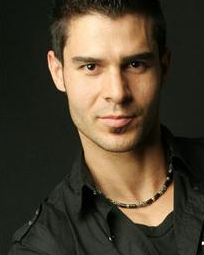 I had done a screen test (with Greg Apps) for one of the lead roles in a new “Power Rangers” television series. I got very close but missed out in the end, but I loved the experience and it encouraged me to pursue acting more seriously. I met JEREMY KEWLEY soon after on a short film I had a small role in called “Vows of Silence” and we hit it off. After hearing my story, he invited me to attend some classes he was going to be running. Flattered, but at the same time reluctant (stemming from serious financial concerns and a cynicism born out of prior negative experiences with acting teachers! ), I agreed once he assured me I wouldn’t need to pay up front, and my reluctance soon disappeared after hearing his story! Attending Jeremy’s class over the next 4 weeks, I learnt about the real business of acting in a comprehensive and always entertaining setting. His down-to-earth approach and 35 years of experience as a working actor provided a nurturing and safe environment where we as actors were allowed to really ‘go for it’ and try things out because as Jeremy always taught, ‘There are no rules’. The classes took place in the upstairs part of his home/office and it was a very comfortable and relaxed setting. A good lunch was served each week, and on the last Sunday we were visited by a former casting director, now Melbourne agent, who watched the ten of us working and then gave us valuable feedback and comments. Throughout the course, Jeremy was able to answer every question I asked, in a clear, logical and insightful way. Since completing his classes, I’ve stayed in regular contact with Jeremy and never been made to feel hesitant in contacting him and, in fact, have found him very generous with his time if ever I was in need of advice or guidance on my journey as a fellow actor. After Jeremy helped me write my ‘seeking representation’ letter to a few Melbourne agencies, I soon after signed with one of Melbourne’s top agencies, JM Agency. I have continued to gain acting work and my list of credits gets bigger all the time! 1. His natural, ego-less and honest approach is very easy to engage with and understand. 2. As a person, Jeremy is rare – in that he’s genuinely enthusiastic and pro-active when it comes to helping young actors achieve success and will look out for you long after you finish his classes. I have no hesitation in recommending Jeremy as a teacher and I now consider myself fortunate to call him a friend. I hope you enjoy the classes, and get as much out of them as I did! Thank you very much Jeremy. I enjoyed every moment of your ACTING ESSENTIALS course. I have learnt so much from you, and hopefully it will pay off in the near future! Hopefully we can work together one day.